When sitting for periods of time at work in an office or vehicle Back-Huggar Lumbar Support Cushion by Bodyline Comfort Systems is a must. 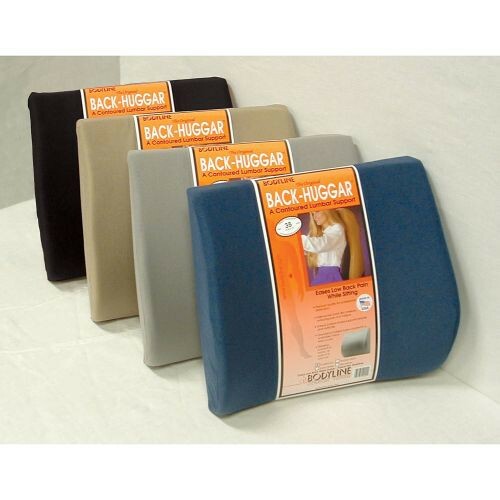 It is the leading back support cushion on the market to provide both vertical and lateral back support with its unique two-plane shape for a complete back hugging experience. It was created by chiropractor Dr. John W. Fiore to give natural pain relief to the lower back and provide ongoing support, especially for users with chronic back problems. 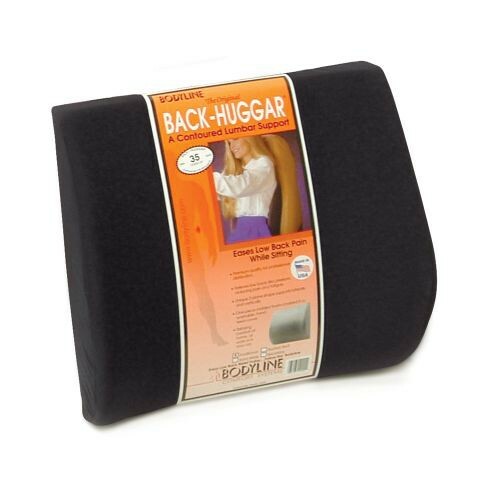 This Back-Huggar Lumbar Pillow improves posture while sitting. It's also a great road-trip companion when traveling. It comes in Standard, Bucket Seat Thin, Bucket Seat Thick, Extra Wide (16.5 Inches) and Secretary. It's available in a variety of colors to blend in with your chair. Choose from beige, blue, black and gray, on most styles. The molded polyurethane foam cushion comes with a hand sewn zippered cover with loops for an optional strap to secure to the chair. 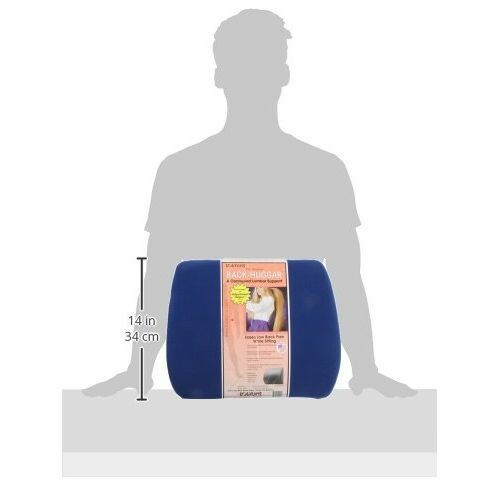 You may also be interested in Dr. Ho's Perfectback Rest. Thick - Slightly less beveled in back and side panels than the thin style for auto bucket seats and curved back chairs. Extra-Wide - It is the equivalent as the standard with an additional 2.5 inches for a total width of 16.5 inches. Secretary - Comes as the standard shape with built-in crisscrossing elastic strap configuration to secure to an open back chair. Strap Size: 1" x 43""
Cushion Dimensions: 13" x 14" x 4.5"; Extra Wide 16.5"